New Delhi, Aug 10: The Centre today told the Supreme Court it does not concur with the Tamil Nadu government’s proposal to release seven convicts in the Rajiv Gandhi assassination case, saying remission of their sentence will set a “dangerous precedent” and have “international ramifications”. A bench of Justices Ranjan Gogoi, Navin Sinha and K M Joseph took the document, filed by the Ministry of Home Affairs, on record and adjourned the matter. On January 23, the apex court had asked the Centre to take a decision within three months on a 2016 letter by Tamil Nadu government seeking its concurrence on releasing seven convicts in the Rajiv Gandhi assassination case. The letter, written on March 2, 2016, had said the state government has already decided to release the seven convicts, but it is necessary to seek the Centre’s concurrence as per an apex court order of 2015. “The central government, in pursuance of section 435 of the Code of Criminal Procedure, 1973, do not concur to the proposal of the government of Tamil Nadu contained in their communication letter dated March 2, 2016 for grant of further remission of sentence to these seven convicts,” said the reply filed by MHA Joint Secretary V B Dubey. The Ministry said the trial court had given “cogent reasons” for imposing death penalty upon the accused and pointed out that even the Supreme Court had termed the assassination an “unparallel act” in the annals of crimes committed in this country. “…releasing the four foreign nationals who had committed the gruesome murder of former Prime Minister of this country, along with 15 others most of whom were police officers, in connivance with three Indian nationals will set a very dangerous precedent and lead to international ramifications by other such criminals in the future,” the Centre said. 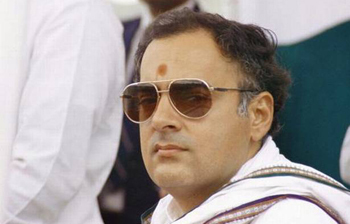 Rajiv Gandhi was assassinated on the night of May 21, 1991 at Sriperumbudur in Tamil Nadu by a woman suicide bomber, identified as Dhanu, at an election rally. Fourteen others, including Dhanu herself, were also killed. This was perhaps the first case of suicide bombing which had claimed the life of a high-profile global leader. V Sriharan alias Murugan, T Suthendraraja alias Santham, A G Perarivalan alias Arivu, Jayakumar, Robert Payas, P Ravichandaran and Nalini have been in jail for 25 years. The Supreme Court had on February 18, 2014, commuted the death sentence of three convicts — Murugan, Santhan and Perarivalan — citing inordinate delay by the executive in deciding their mercy plea.